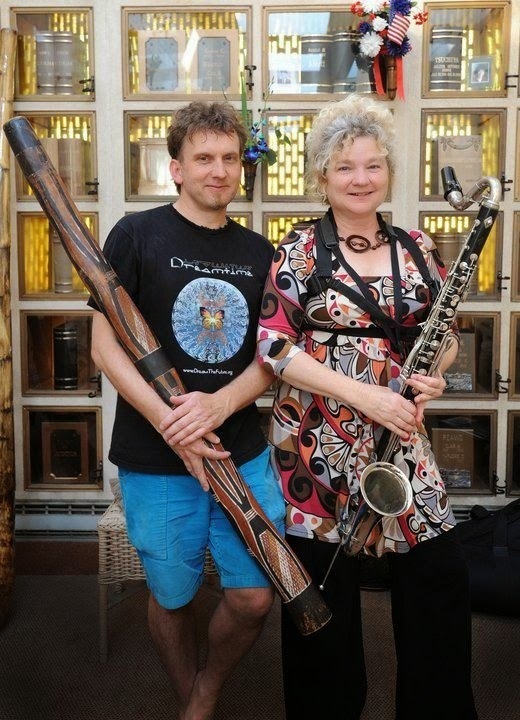 Trance Mission Duo will perform new pieces, improvisations, and tunes from their repertoire. Trance Mission Duo features two extraordinary multi-instrumentalist/composers with mountains of global accolades to their credit. Trance Mission continues the genre-breaking musical traditions they started in the 1990’s. Founded in ‘91 by Kent and Custer this seminal 4th World quartet out of the Bay Area performed extensively on the West Coast and in Europe and created four universally acclaimed recordings released on San Francisco's City of Tribes label. The music of Trance Mission is as fresh and alive today as it was at its inception and the band's performances snap, crackle and pop with infectious improvisational spirit and humor. They are currently working on a new release slated for 2015 and booking engagements the world over. Admission: $20-$25 at the door. For the first time in over 10 years, the entire Trance Mission catalog is now available on CD Baby.